Last year, I visited Qatar with my family. Doha, being the capital of Qatar, has recently undergone huge developments keeping in view the preparations to host FIFA 2022 world cup. While wandering around the capital, one may observe several construction sites as well as road divergences/closures. For a person like me, who completely relies on navigation system, it proved a little bit troublesome. However, I hope, things would be improved by 2022 when all projects would be completed. I would say that, as of now, the top places to visit or things to do in Qatar are limited and can be counted on fingers. 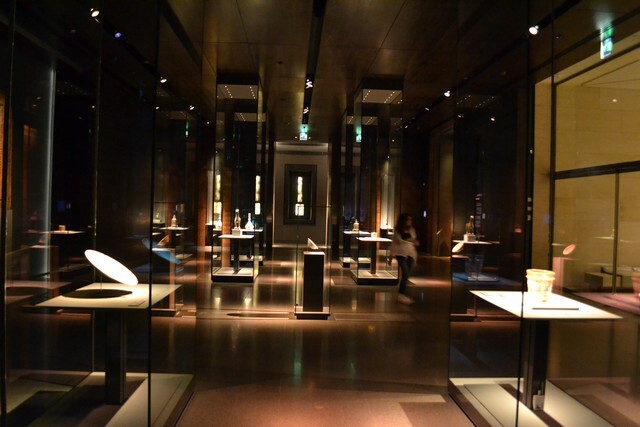 Museum of Islamic Art (MIA), Doha is one of them. After getting visit visa at Saudi-Qatar border, I drove straight to MIA. The main highway name is Salwa Road and this ~80 km long road literally goes straight to Doha city center from Saudi Border (Drive safe and be careful of speed cameras which are approx. at every 8 km on Salwa Road). We reached MIA near dusk. Adjacent to the MIA was a lush green grassy park and luckily, a festival was underway in the park which was an added bonus for us. We spent some time in the festival before entering MIA, I will post about this festival later. 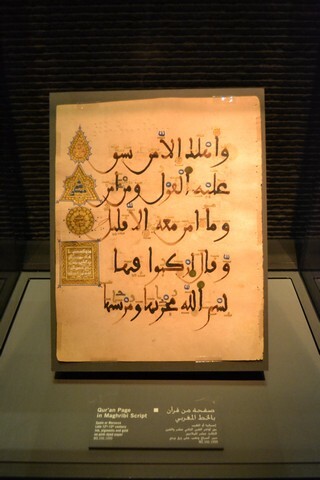 For the time being, I will confine my post to Museum of Islamic Art. 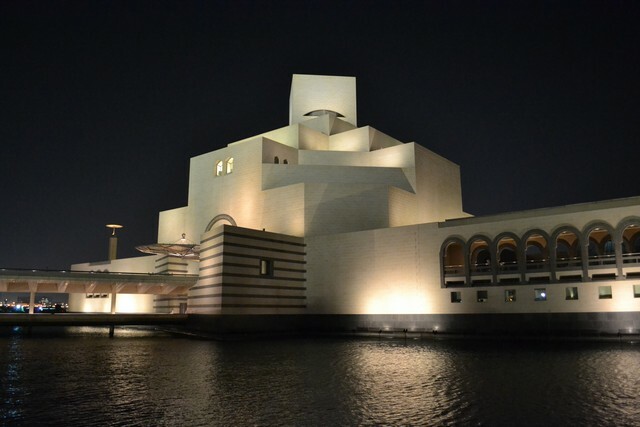 The iconic building of Museum of Islamic Art (MIA) is located on Doha corniche. 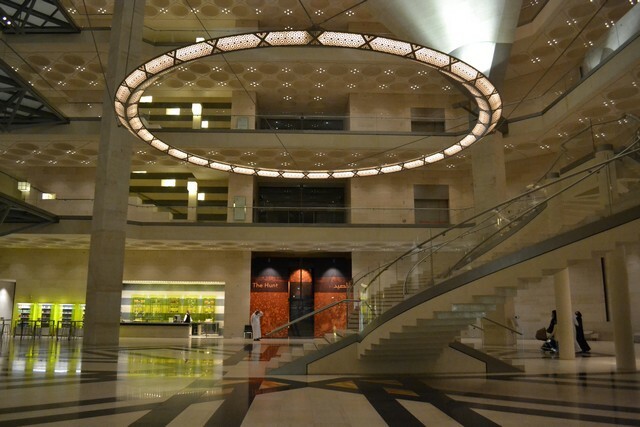 Main hall of Museum of Islamic Art. Surprisingly the entrance to the such a marvelous museum was free. 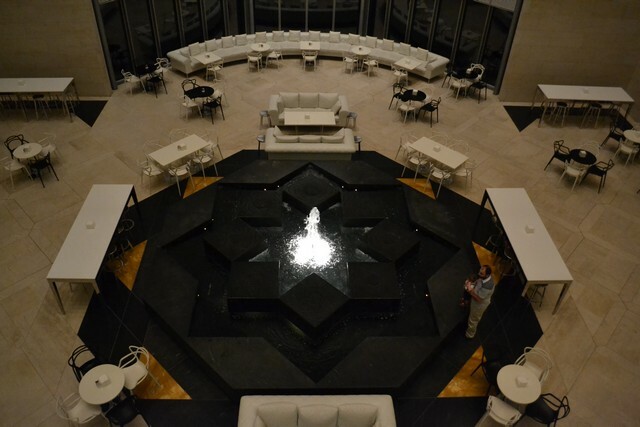 There was a cafeteria at ground level of MIA. Pretty relaxing. Before WWII, most of Arab countries were under ottoman empire. 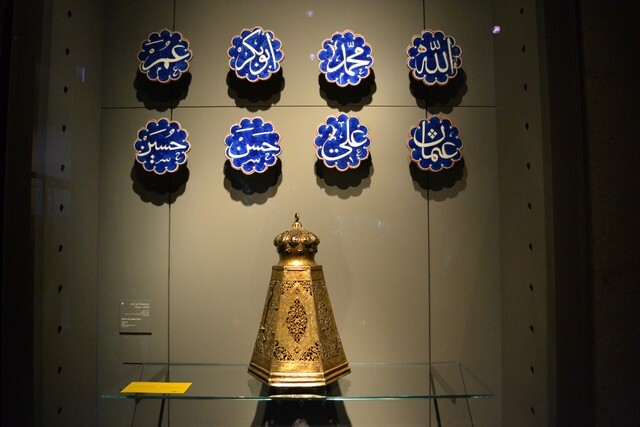 The museum had some historical items related to Turkish ruling era as well. 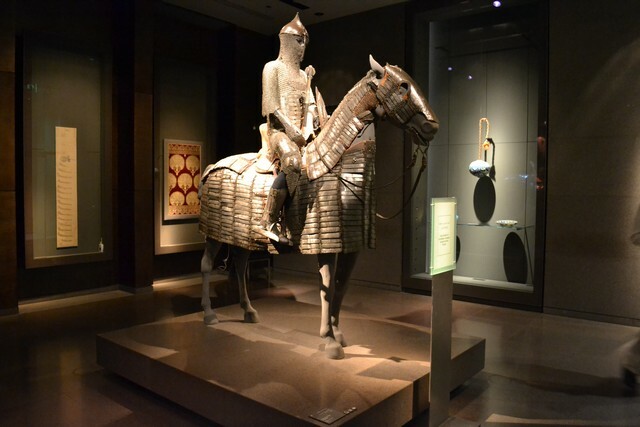 Below is an 18th century Turkish steel armor for horse and rider. One of historic scriptures of Quran . Calligraphic art showing name of Allah, Prophet Muhammad (PBUH) and his four companions and beloved grandsons. 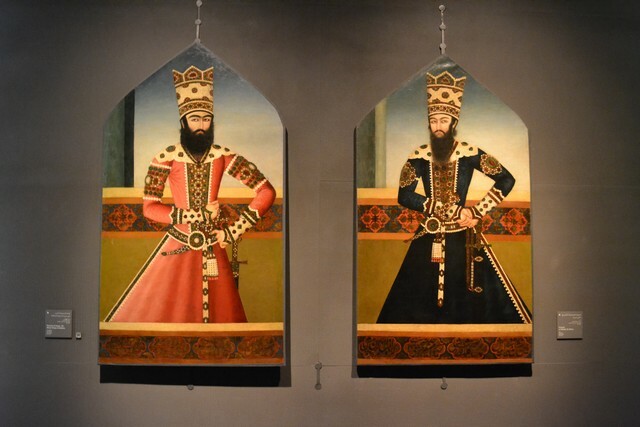 I was a bit surprise to see some Iranian princes photos and artifacts. It seems that Iranian had some influence or deep link with Bahrain throughout history. One of galleries in MIA. It was around 8 pm and museum was about to close. We were also a bit tired now as we came directly to MIA from Saudia. So we came out of MIA to move to our next destination i.e. my friend’s home who was waiting for us on dinner. 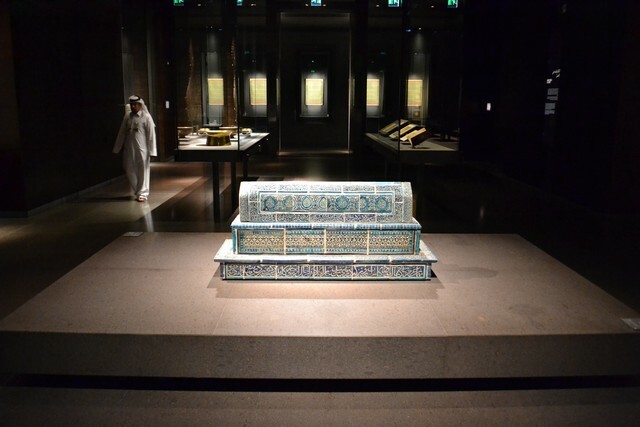 One of my favorite museums I’ve been to in all Arabian Peninsula! a must visit when in Doha. As Qatar has been on my travel list for some time, I’m glad to read about your experience there. Nice pictures! Thanks. 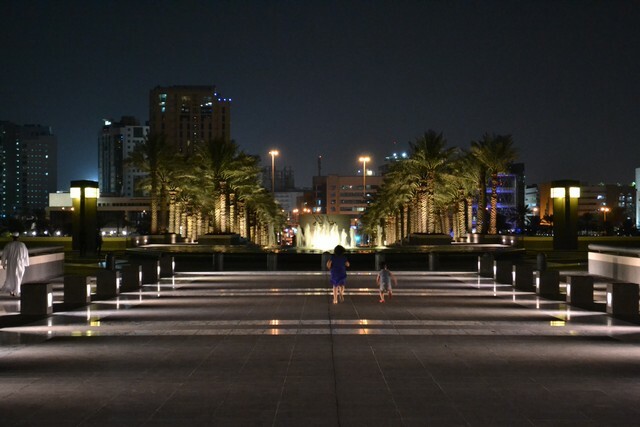 Though Qatar has little to offer but you will definitely enjoy your trip. How many places have you lived or visited? A few here and there, but too many on my list left yet to explore! One amazing tour this was. Thanks for taking us with you!